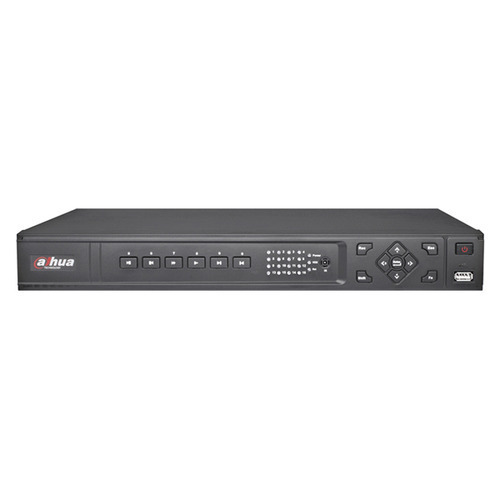 DH-NVR3204: 4 channel@D1, 2 channel@720P, 1 channel@1080P IP camera inputs, It can support HDMI, VGA, USB2.0 and 2 HDDs. We have supply and provide service support for Maharashtra ,Goa , Karnataka and Kerala . Indus Cartel Private Limited is a professional system integration and consultancy firm with over 15 years of Experience in this Industry .Our Solutions are designed as per the latest international standards to match with the highest levels of security required by our customers . We have a professional team trained by experts from the manufacturing companies directly enabling faster completion of work . Indus Cartel Pvt Ltd has a wide portfolio of products including Thermal Cameras ,Perimeter Solutions ,Biometric and Retina scanning based Access Control systems with Time Attendance ,Fire Alarm systems as per the standards prescribed and other police equipment and Military Hardware. We offer Audit Solutions for Fire and Safety as well as consultancy services for our clients . We also export our products to clients in Sri Lanka ,Nepal , Maldives and the African Continent .We work closely with police forces and offer training sessions on the latest security gadgets on request .We also conduct awareness programmes on safety for women with various corporations .Indus Cartel pvt Ltd aims to be the best in the Electronic Security Industry . We are associated with some of the Worlds largest manufacturers of Security Hardware as their India partner for promotion of products . In case you have a requirement you can talk to our security consultants who can help in designing the right kid of solution for your requirement . Our Clients include leading companies of India like Viacom18, BlueDart, Loreal, CISF, Asian Paints, Sanofi Aventis, Bank Of America, Airworks and Hard Rock Cafe to name a few.Since our establishment, we are engaged in providing our clients with a wide assortment of Video Door Phones, Road Blockers, Explosive Detectors, Bulletproof Jackets, Electronic Safes, Deep Search Underground Metal Detectors, IP Cameras with Video Analytics, CCTV, Police Handcuffs, Telescopic Batons, Perimeter Fencing, Optex Motion Sensors and other Surveillance Systems. We have over 14 years of experience in the security industry and we have our logistics in place to delivery our materials to almost all the corners of our Country. We have also recently started exporting security equipment to other countries.